Researchers in the department of molecular biology at Princeton University have identified a microRNA (miRNA) that helps maintain the activity of stem cells in both healthy and cancerous breast tissue. The findings of the study “Normal and Cancerous Mammary Stem Cells Evade Interferon-Induced Constraint through the miR-199a–LCOR Axis” to be published in the June issue of Nature Cell Biology suggests that inhibiting the activity of this small molecule could improve the efficacy of exisiting breast cancer treatments. Many tumors contain so-called “cancer stem cells” that can drive tumor formation. Some tumors, such as those in triple-negative breast cancers, are particularly deadly because they contain large numbers of cancer stem cells that self-renew and resist differentiation. To identify factors that help noncancerous mammary gland stem cells (MaSCs) resist differentiation and retain their capacity to self-renew, Yibin Kang, Ph.D., the Warner-Lambert/Parke-Davis Professor of Molecular Biology, and colleagues searched for miRNAs that can bind and inhibit protein-coding messenger RNAs to reduce the levels of specific proteins. The researchers identified one miRNA, called miR-199a, that helps MaSCs retain their stem cell activity by suppressing the production of a protein called LCOR, or ligand-dependent co-repressor, which binds DNA to regulate gene expression. The team showed that when they boosted miR-199a levels in mouse MaSCs, they suppressed LCOR and increased normal stem cell function. Conversely, when they increased LCOR levels, they could curtail mammary gland stem cell activity. Dr. Kang and colleagues found that miR-199a was also expressed in human and mouse breast cancer stem cells. 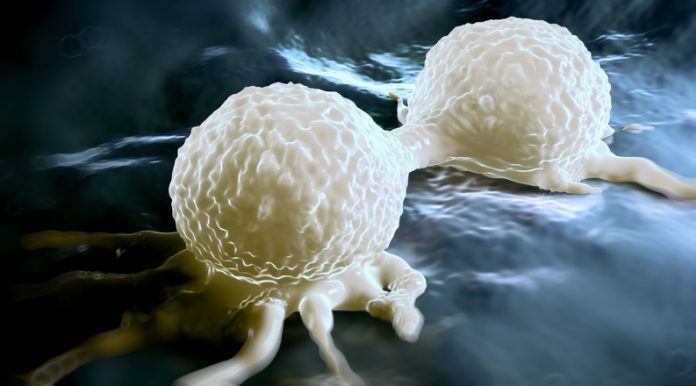 Just as boosting miR-199a levels helped normal mammary gland stem cells retain their activity, the researchers showed that miR-199a enhanced the ability of cancer stem cells to form tumors. By increasing LCOR levels, in contrast, they could reduce the tumor-forming capacity of the cancer stem cells. In collaboration with researchers led by Zhi-Ming Shao, Ph.D., a professor at Fudan University Shanghai Cancer Center in China, Dr. Kang's team found that breast cancer patients whose tumors expressed large amounts of miR-199a showed poor survival rates, whereas tumors with high levels of LCOR had a better prognosis. Dr. Kang and colleagues found that LCOR sensitizes cells to the effects of interferon-signaling molecules released from epithelial and immune cells, particularly macrophages, in the mammary gland. During normal mammary gland development, these cells secrete interferon-α to promote cell differentiation and inhibit cell division, the researchers discovered. By suppressing LCOR, miR-199a protects MaSCs from interferon signaling, allowing MaSCs to remain undifferentiated and capable of self-renewal.